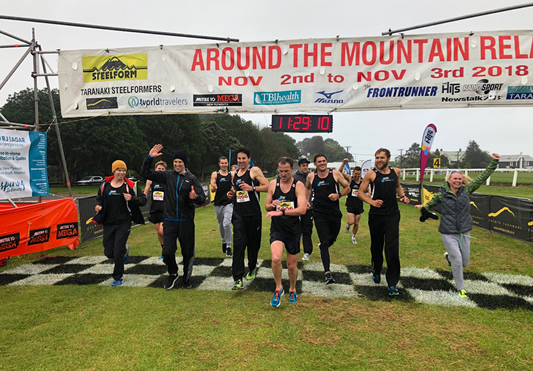 Body Logic finally cracks the stranglehold Ravensdown Hawera Harriers have had on the Taranaki Steelformers Around The Mountain Relay. Every year since 2007 there has only been one winning team the Hawera Hounds. Even this year it was close with the crack Triathlon team Body Logic winning by a mere 30 secs after battling head to head for over 150kms.